The Mallory pattern features a classic teardrop shape with a brushed finish handle elegantly contrasted by a mirror finished bowl. 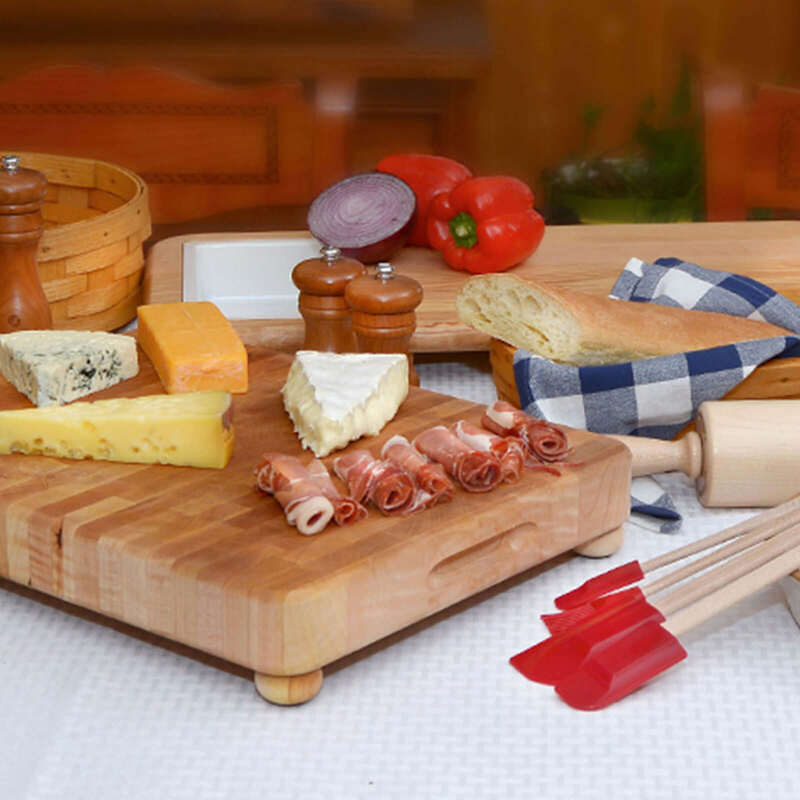 Created slightly larger than traditional American sizing, its exceptional balance and weight make it a tasteful choice for your table. Mallory is pattern of the month for April! Take 15% OFF Mallory through 4/30/19. Save with coupon code mallory19 at checkout! Very happy with the Mallory flatware. Washes up very nicely. Looks good. I love that it’s made in America. I purchased the Mallory pattern several months ago, as part of a larger “updating” project in our home. I ordered three samples from patterns I liked and made some mini place settings using various plates and bowls. Mallory was the winner for us. I ordered a super set with a number of extra dessert and serving pieces. All of the pieces arrived quickly with protective sheaths and packaging. Mallory has a beautiful, simple shape and a combination finish that (surprisingly) complements our heavy Mexican pottery everyday place settings as well as my mother’s delicate mid-century china and vintage pressed glass dessert service. The pieces are hefty and well-balanced. 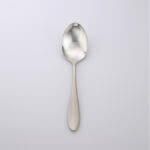 The spoons even look good sticking out of a pint ice cream container. A few pieces have gone through the dishwasher and came out fine, but I prefer to wash and dry them by hand. Great set and great company service; highly recommend! 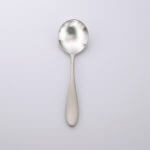 We are very pleased with our new “Mallory” flatware. Although larger than what we replaced, we have quickly adapted to the heft of the pieces. It was definitely a good purchase decision. The set we bought came with just the teaspoons. 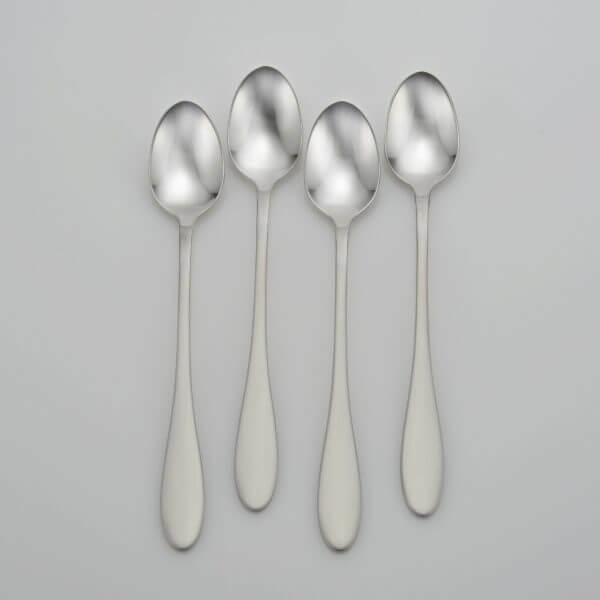 I ordered the sugar/soup spoon to complete my set and I am so happy I did. If I had to do it over, I would buy the Mallory style again. I just love these, the quality, balance, and style. 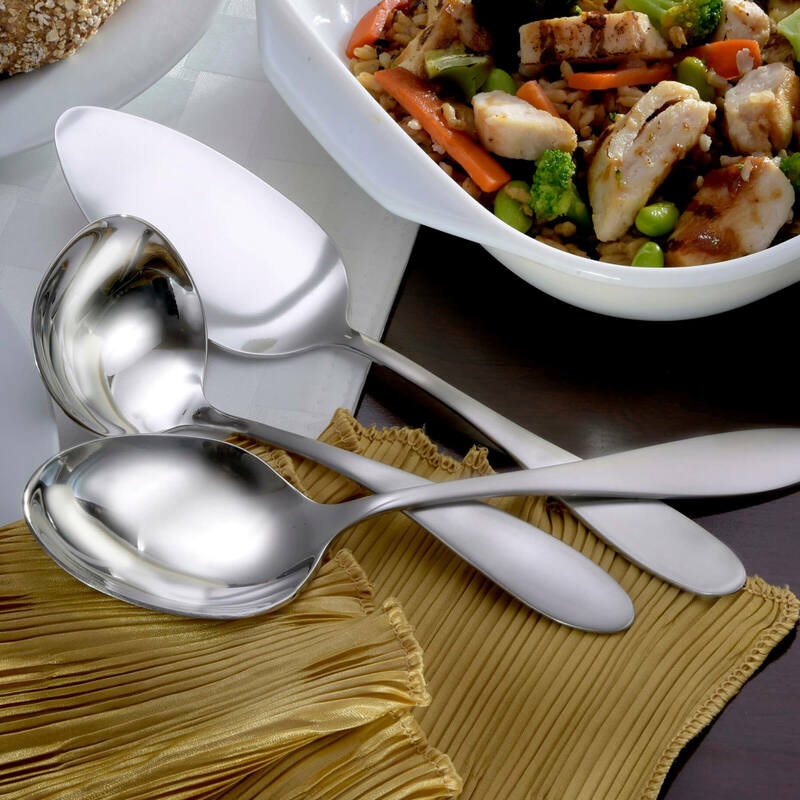 If you are considering buying a set of Liberty flatware, go for it, you won’t regret it. I really love my new Mallory flatware. The weight an balance are perfect and each piece feel great in your hands. Love the smoothness and shine. I highly recommend this product you will not be disappointed! This is a beautiful set! Feels good in your hands, good heft, and balance. Love it! I really like the silverware. It feels like it is made well and sturdy. The spoons don’t bend when scooping out ice cream. 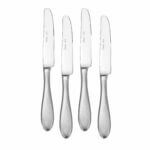 I had Oneida silver for 30 years and needed a new set. I wanted sometime made in America. It is a little pricey but well worth the money. 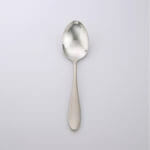 It is made from much better materials than other silverware. I would definitely recommend this product. Very satisfied with the purchase. 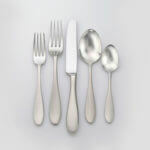 This is the second set of flatware that I have purchased from Liberty. Delivery was quick both times and the flatware arrived Perfect, just what I would expect from American made! 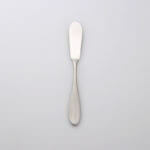 This particular flatware “Mallory” is simple, yet elegant. 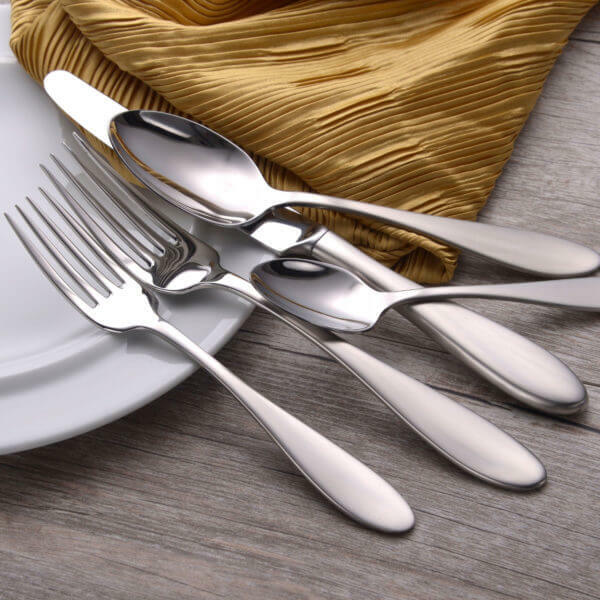 I love to set a beautiful table and this flatware will go with any fancy china to your every day tableware. I’ll begin my review with perhaps the most impressive attribute of all – Kim in customer service. In a nutshell, Ms. Kim is an American Badass. She quickly responded to my barrage of email inquiries, even on a Sunday evening. Change orders, add on orders, return orders, you name it, no amount of inquiries inspired Kim to add me to her blocked email list. 🙂 She even took the time to alert me to some upcoming savings promotions. Wow, what asset that lady is to the Liberty Team. Speaking of the Liberty Team. It’s rare enough that they make their products in the USA. But, it’s even more rare that Liberty sources their raw materials from the US too. Their commitment to made in the USA runs deeper than just the products they manufacture, or the patriotic namesake that they’ve adopted. Heck, even the flatware cases they sell are made in the USA. That’s a clear indication that Liberty chooses their suppliers based upon similar values. The balance, weight and gauge thickness of the LUX line of flatware is sensational. 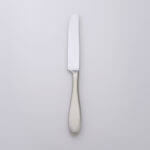 The Mallory utensils just feel comfortable in the hand. The tines are shaped perfectly, unlike my old flatware, I don’t need a drilling hammer to pound my fork into a piece of meat. Obviously, Liberty flatware is expensive compared to overseas alternatives, but that’s because it costs more to employ a skilled American workforce. The folks on Liberty’s assembly line, their Customer Service, efficient Shipping/Billing Department, and proficient Management Team, makes my Liberty purchase worth every penny. 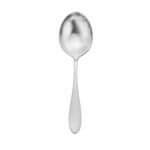 Perhaps my only issue with Liberty flatware, is that it isn’t more exposed and readily available for folks to see. I understand why Liberty doesn’t attempt to saturate the retail market, because it just costs too much to pay other companies for shelf space. But, I can’t help but to wonder just how many folks would opt to choose Liberty over its competitors, if they were on display together at Costco, Sam’s Club, etc…we need more made in the USA products on store shelves. Awesome quality. Great service including fast free shipping. 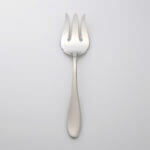 I initially purchased four forks of this pattern months ago to supplement our stainless steel flatware. 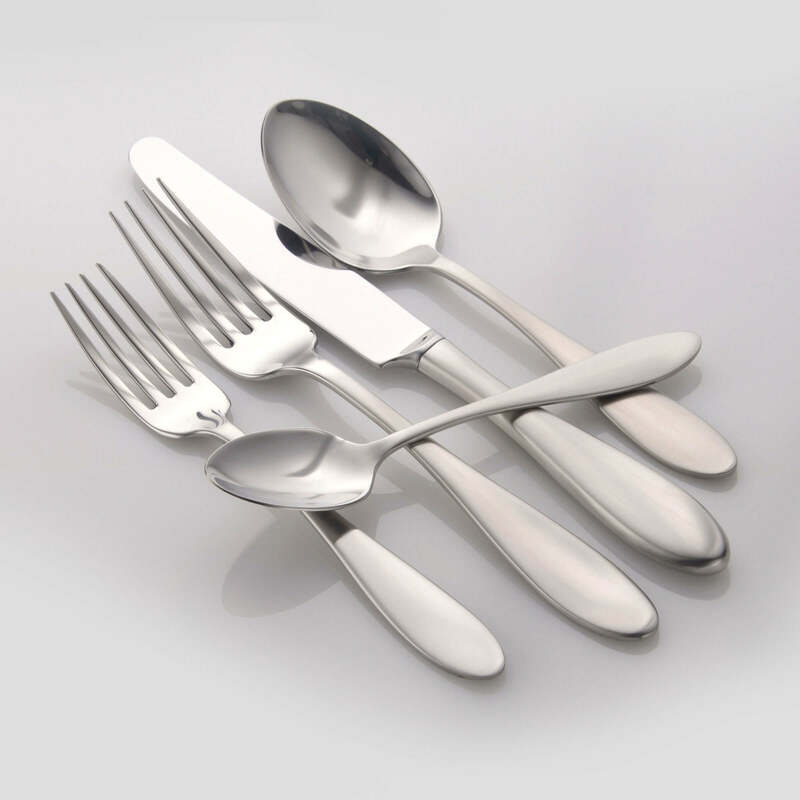 My existing flatware is similar in pattern, but somewhat smaller and lighter in weight. The forks especially didn’t have the heft I preferred. When the Mallory forks arrived, I was delighted. During early November, my wife and I planned the guest list for Thanksgiving and realized we lacked enough flatware to accommodate all of the guests. 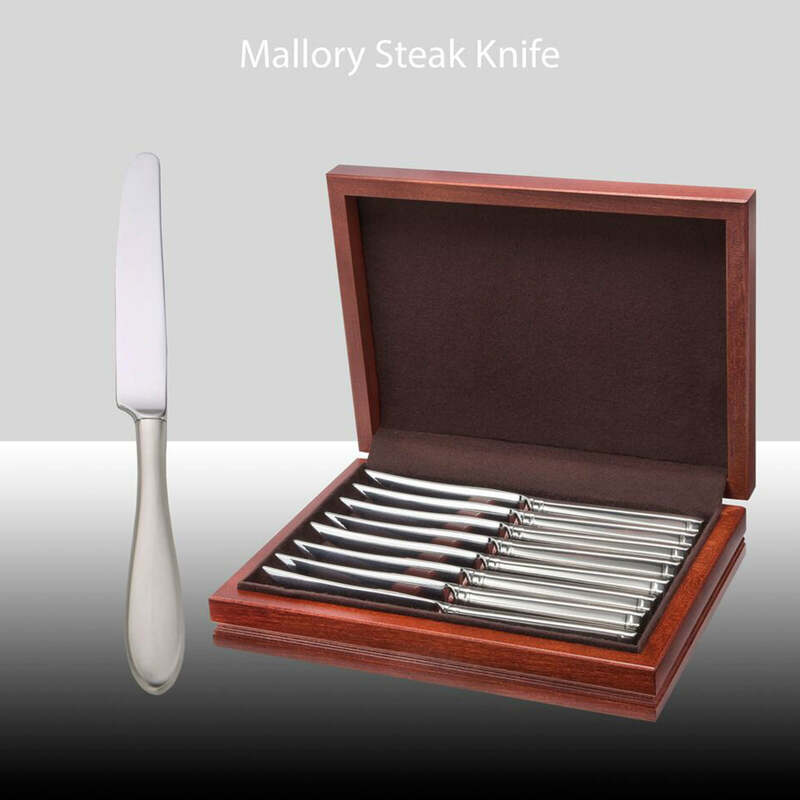 I ordered the Mallory 20 piece set. The prompt delivery was appreciated. We had just enough tableware for everyone. However, I am contemplating ordering another Mallory 20 piece set or more to have tableware that matches perfectly. There isn’t a flaw among them. My wife and I are quite pleased with the Mallory and the Liberty service. 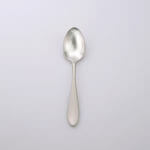 We’d bought silverware from Oneida’s factory store eight years prior, but not enough. We kept running out of spoons and forks. So it was time to get more quality silverware (because the stuff that’s sold in retail stores (Bed, Bath, & Beyond, Macy’s, Kohl’s) just wasn’t up to the quality we wanted). I figured that when I visited NY again, I’d just drop by the Oneida store and find more quality silverware. Then I found out that Oneida closed their store in NY in 2014! Time for a new plan. In the end, we narrowed it down to two patterns–Betsy Ross and Mallory. Both have a nice weight to the pieces, and they’re well balanced, both for my small hands and for my spouse’s large hands. 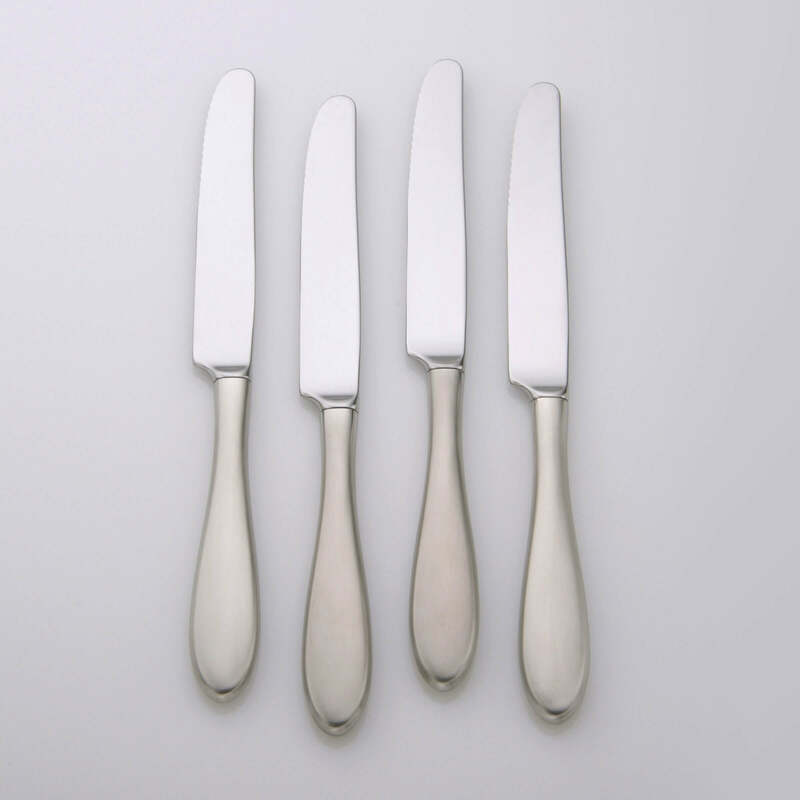 The Mallory pattern came closest to matching our Oneida set. The satin finish is smooth and sophisticated. They’re beautifully polished out of the box. We bought a 45 piece set (8 5-piece place settings and a 5 piece serving set). 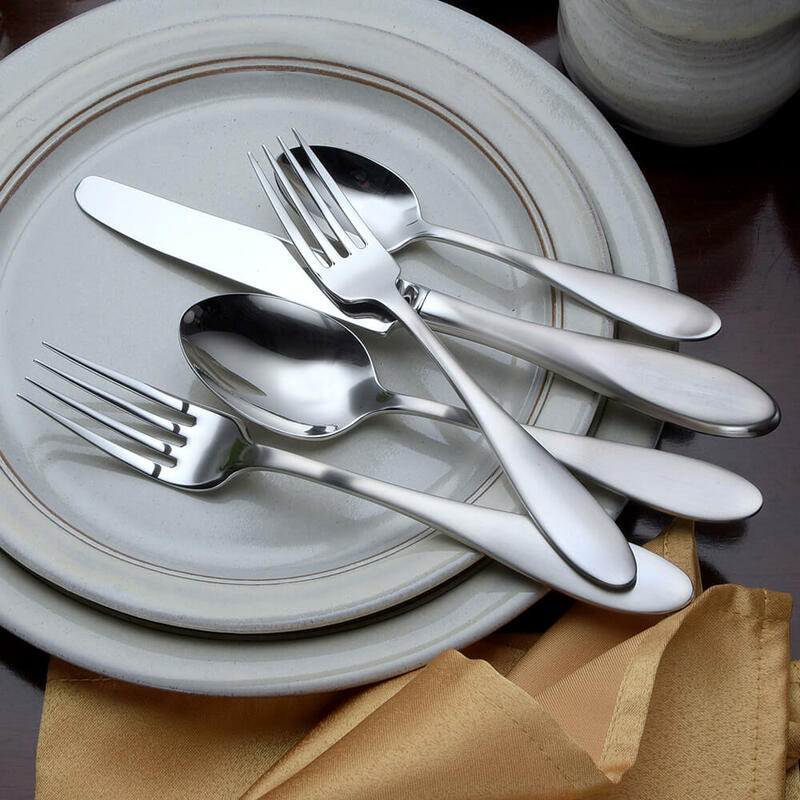 It’s a bonus that the silverware is made in upstate NY (and made from recycled steel). With so many manufacturing jobs being moved overseas (and with the obvious lack of quality in many of those offerings), it’s good to know that my high-quality silverware was made by people in my (former) community. This is high quality silverware for sure. Sure, it’s expensive. But it’s cheaper to buy quality stuff now, once, than to buy crap that will need to be replaced many times, not to mention the problem of disposing of old, broken silverware. If you happen to be in upstate NY, I’d encourage you to contact Kim and drop by their office to check out all of the patterns. There’s a lot of history in the building, and it’s neat to learn how silverware is made. 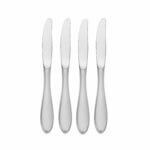 THE BEST FLATWARE I EVER OWNED! 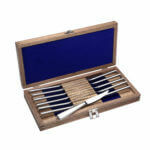 STACKABLE IN TRAY, BALANCE OF TOOLS ARE GREAT AND FINISH IS SECOND TO NONE. THIS WAS WORTH EVERY PENNY. I RECEIVED COMPLIMENTS ON FLATWARE C’MON! I’M GOING TO BUY SOME FOR MY DAUGHTERS. Well, almost perfect. Definitely terrific. I purchased the 3 piece hostess set. Much better (finer craftsmanship, heavier weight, greater beauty) than any other flatware I’ve seen in the last few decades. And it matches my old Oneida (remember them when they were made in the U.S.?) set almost perfectly. Brilliant design very well executed. 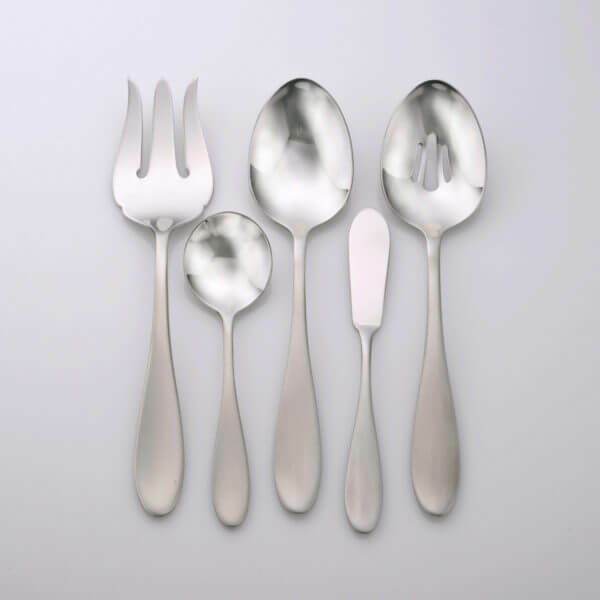 I am proud to own a d to serve guests with this flatware. 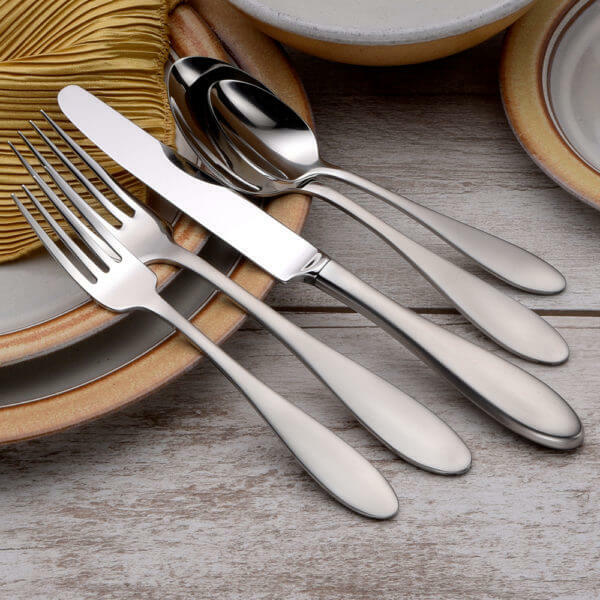 I have been using my parents’ old flatware for as long as I can remember, but now that I need to get my own set of flatware, I felt I made a great decision with this set; it feels and looks great. No regrets. I was looking for a good quality flatware set with a contemporary style. I ordered two different sets from other manufacturers before finding Liberty, and I sent them back because they were unwieldy, and way too oversized. Mallory is well made and feels smooth and perfectly balanced. 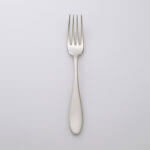 I should start by stating I had shopped flatware for a number of years unsuccessfully. When I stumbled across your company on line my first question was how could I possibly purchase sight unseen; luckily I pursued your site long enough to find your sample offer. I am completely satisfied with my purchase; the weight, balance, and appearance are all exceptional. It also pleases me to support American workers and have faith in good raw materials also made in America. You may not choose my pattern, but I am sure you will not be disappointed with any purchase from this company. Weighted nicely, beautiful, no problem with dishwashing them, love the design I chose, love the customer service, and I feel really happy when I flip over my utensil ad see that it is made in the USA! Exceeded expectations! Great daily use but look fabulous with good china too! 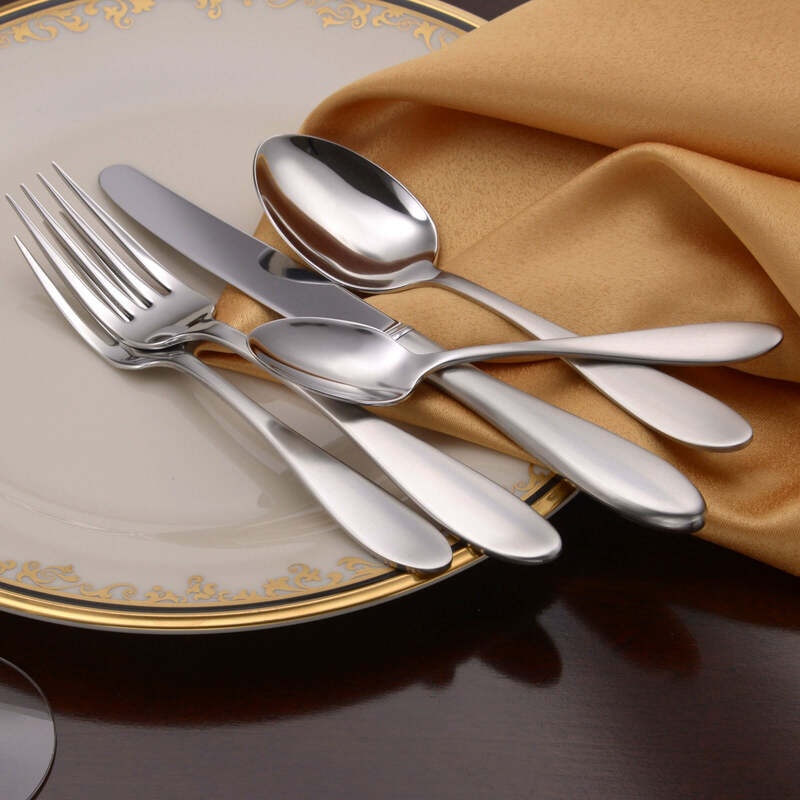 Silverware is very high quality. We had purchased other 18/10 silverware that ended up rusting in the dishwasher. The weight and shape of each piece is very nice and the brushed finish goes well with our transitional style. 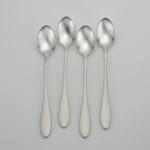 I ordered 4 table spoons to learn the quality. So pleased that a US made product has such great quality! The styling is sleek, the feel solid. I am considering a full set. 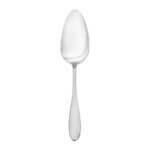 In the past I had an Oneida pattern, this is superior and Oneida was good. My most recent purchase was the three-piece serving set. I love it. 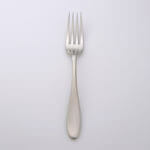 I felt when I ordered my flatware that there should be other serving pieces available. 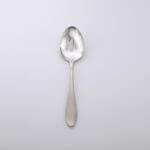 I kept one of the larger spoons from my old flatware, but I don’t need it now! And really don’t care if I ever see that pattern again. My original purchase looks as good as the day I bought it, except for one knife that I thought I should take a little green 3-M scrubby to–don’t know what (or if) I was thinking. 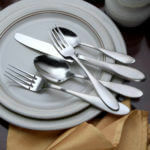 Love my flatware and love the fact that it was made in the USA! * nice,solid weight in the hand. I had been shopping for new place settings and had picked a set from sur la tab – then I saw “Made in America with David Muir” and decided to investigate Liberty tabletop. The quality of the product makes America proud and your employees should be even prouder. I couldn’t be happier. We thought about this purchase for a long time–ordering samples last winter and seeing how those pieces held up to daily use. (They look as good now as they did when they arrived over a year ago.) The Mallory style was our favorite, for the feel of the handles and the brushed finish that makes our table settings look much more elegant (even when we’re eating hot dogs and potato salad). 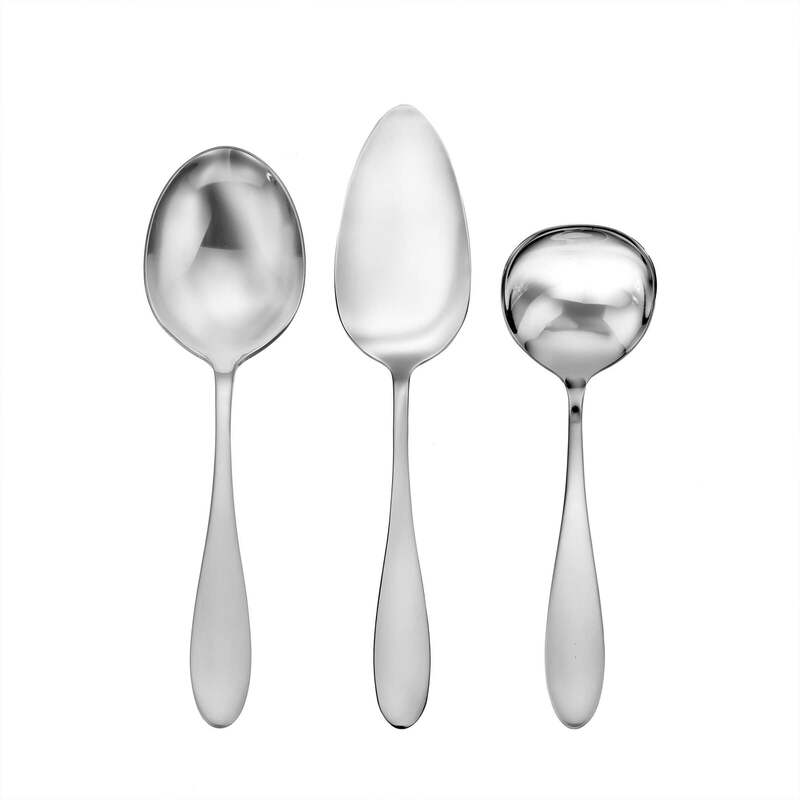 Made in the USA is important to us, and we’re happy to say we love the flatware. Recently, I had to replace an old Hunter ceiling fan in my home. Installed in 1990, it ran 24/7 for 26 years – only stopping for rare power outages or for cleaning and maintenance. But there was nothing wrong w/the fan when I took it down. It was still working fine – it just didn’t work w/a new renovation. So, per my wife, out it went, at least until I can find another use for it. What was neat about this event was that I removed the fan, I noticed that the serial and model # tag also said “Built in America.” Not “Assembled in America” not “made” but built. Built as in real hands-on construction. Action. People. Work. I don’t always buy American-made products. But I always start by looking for American-made first. And if the quality is comparable or, hopefully,better, then I buy. Happily. 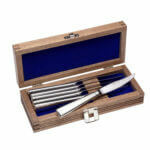 Last week I received a set of Mallory flatware. Clearly, your products are made in the same way. 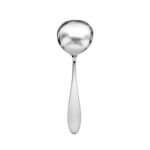 Sturdy, elegant, without a single observable flaw in the finish. Good stuff. So I just wanted to say: please keep up the great work – and best wishes to all the fine employees at Sherrill who had a hand in building a great product. I bought s Mallory service for 12 as a Christmas preset to myself. I had never had a set of quality flatwear before, and I am so happy with this set that I cannot help smiling everytime I open the drawer and see it! Everyone that we had visit over the holidays thought that the set qas beautiful, and I couldn’t agree more. It is well balanced, it has a nice weight and just plain feels good in your hand. I looked at the Liberty site for over a month, debating if I really wanted to spend that much money on flatwear, but my husband convinced me by saying that it should be the last set I will ever need to buy, and I couldn’t agree more. I’m so glad that I bought this beautiful set from Liberty – AND IT’S MADE IN THE U.S.A!